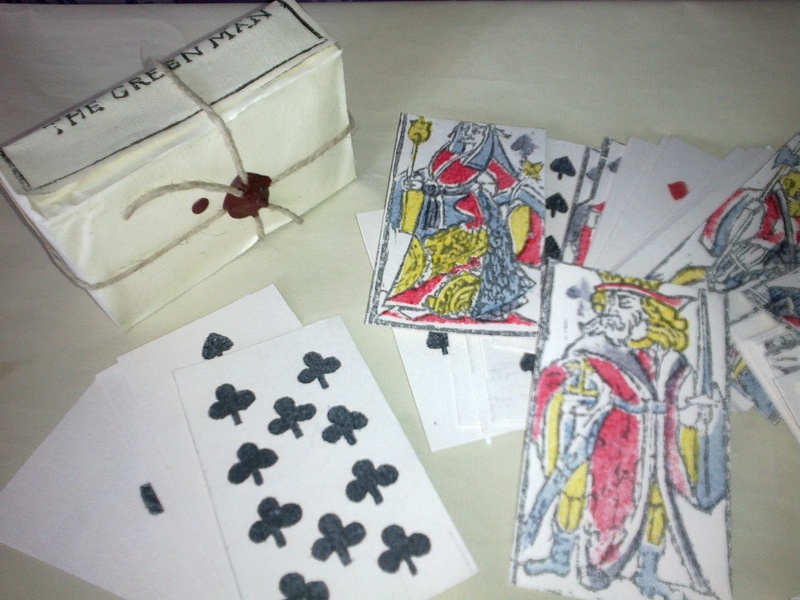 Here you can see the pip cards, together with ‘one I made earlier’ in its wrapper – complete with string and sealing wax. I don’t think I would actually want to open them now! Playing cards were treated as completely ephemeral of course by the average gentleman. He’d use the blank backs as informal notes, knowing that he could buy another pack for pennies at a stationer’s. Just like ballad sheets and other ephemera, it’s that very disposability that makes any original items so rare.